Missoula, Mont. – After months of speculation regarding her sudden disappearance and numerous missed county commission meetings, rumored Lieutenant Governor Candidate Lesley Robinson was spotted in the same room as her supposed running mate, Greg Gianforte. Since pulling Robinsen’s name out of a hat after a string of rejections by other prominent Republicans in the state, Gianforte has avoided appearing next to or speaking about Robinson until today. Montana’s largest scientific denier and his sometimes accessory were stumping in Missoula with Rick Perry, a former Governor of Texas who was taking some time to “just be with himself” after his largest attack on women’s reproductive rights was laughed out of the United States Supreme Court by a rather smug Ruth Bader Ginsberg. The day was not without incident as Planned Parenthood protesters gathered outside the historic Florence building in downtown Missoula to criticize Gianforte and Roberts stance on women’s issues, including abortion and birth control access. Protesters chanted, held signs, and wore costumes depicting birth control packets as they chastised Gianforte and Robbins for campaigning with a former Gov. Perry, the man at the head of a crusade against their organization. Unfortunately, Mr. Gianforte was not available for questions to the press or demonstrators as he and former Gov. Perry were whisked away in a motorcade to Great Falls. Attempts to ask questions of Commissioner Rogers about her candidacy and thoughts on the long campaign were cut short by the arrival of her Uber. 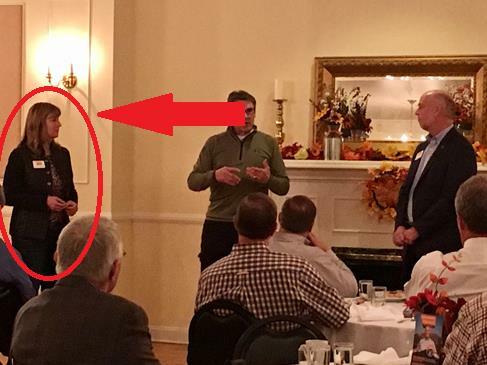 * This story has been updated to reflect that the woman Perry introduced was not Phillips County Commissioner Robbers, but simply the only other woman in the room.